Attractive offers this month at a Fiat showroom near you. Get set for an amazing June with great savings on a range of class-leading Fiat cars. Rs 1(one) down payment on Fiat cars. 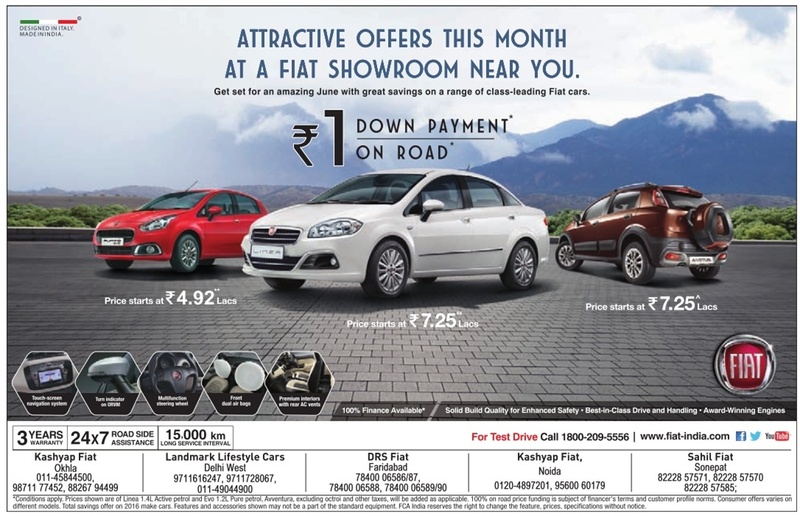 For test drive call 1800 209 5556 or visit www.fiat-india.com.